Former Kazakhstan, year 3145 A.D.
1,000 years ago, nuclear war destroyed the face of the earth. Now the earth is frozen in a permanent ice age. Anya has loved Joshua for years. Unfortunately, he’s her protector, and became baron of Donetsk Territory when her father was murdered. According to the Old Barons’ Law, a romantic relationship between them is forbidden. However, breaking the law will probably never become an issue, for Joshua is determined to negotiate peace with their mortal enemy, Onred. Joshua presents Anya with a choice–marry the Altai baron in order to ensure peace for their territory, or else her people will continue to die in the bloody war. Joshua must get Anya out of his territory before he does the unthinkable and breaks the protector’s sacred trust. When Onred proposes an end to centuries of brutal war, Joshua accepts the bargain. Bound by duty and honor to protect his citizens, and fulfill his sworn vows to Anya’s dead father, he will do what is right, no matter the cost to himself. Should Anya accept her fate? Can Onred be trusted? Or is he a madman, who will drive their world to the brink of destruction? Pitch black had settled in outside. With it, a deep, biting cold swirled into the cave. She really should put out the fire. But it was so warm and friendly. And Anya felt so alone. Put it out. It was time to get going. Although the cave entrance was partially blocked, someone at the perfect angle might see the light. Maybe that one, last, persistent pilot—although she hadn’t heard the craft since noon. He must have given up, too. For now. Unfolding her trowel, Anya chipped up a mound of frozen ice and mud and cast it onto the fire. It flickered, but didn’t go out. The low, rough voice made her gasp, and she whipped out her laser. He seemed to fill the entrance. The elite, cream military parka made his shoulders seem wider, his body more solid and forbidding. “You.” Hands trembling, she lowered the weapon. Palpable fury simmered in him, deep and hot, yet tightly leashed, as were every one of his emotions, always. In the past, she had wished that just once she could break through the impenetrable shell he enclosed around himself. Just once, she’d like to see him snap, to glimpse the true man underneath all the medals and the power that fit him like a glove. To especially see beyond the shiny honor of hero worship with which she’d clothed him when they had first met. She had always wanted to please him. 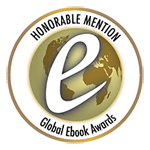 Thank you so much to the following two reviewers from Smashwords. I appreciate your encouraging words more than I can say. I hope it is all right that I’ve posted your reviews here. If I knew how to contact you, I would thank you personally! Astana, Donetsk Territory, year 3145 A.D.
ANYA PRESSED HER FOREHEAD to the cool, curved window of the school library and looked down at the earth, a kilometer below. She felt safe here, although she was no longer a child. Unfortunately, the feeling of peace was an illusion. Soon her protector, the current Baron of Donetsk Territory, would find her and she would have to face her future. If only she could escape. If only she could ride down the slender metal umbilical cord elevator which anchored the sky city of Astana to earth, and flee what was coming. The glass felt cool against her skin, and the room behind her lay silent, as it was nearly time for supper. Quiet, too, was the vast wasteland of ice and snow which stretched out as far as her eyes could see—land that had been ruled by her family, the Dubrovnyks, until her father had died ten years ago. The frosty view remained the same all year round. Spring and summer were too cold to melt the snow. On a clear day, she could see the great Tien Shan mountain range far to the south. Her uncle lived south of the Tien Shan, and her territory had been engaged in a bloody war with his for her entire life. To the east, Donetsk Territory fought a different, but equally vicious war with Altai Territory. Altai’s leader, Onred, was Astana’s special guest this weekend. “Anya.” Joshua’s deep, quiet voice startled her. She drew a dismayed breath. Footfalls noiseless, Joshua Van Heisman appeared by her side. Her nerves prickled up in awareness of him. Nostrils faintly flaring, she surreptitiously inhaled, savoring the clean scent of his pressed uniform, and the warm, faintly spicy scent of his skin. His physical presence, as always, filled Anya’s senses. She was always aware of him—too aware of him. 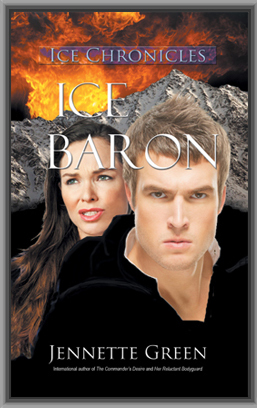 She didn’t have to look to see how his solid, muscular shoulders filled out his cream baron’s uniform. Also etched forever into her mind were his tanned skin, flashing white teeth, and his barely tamed tawny hair, which was the exact color of the extinct lion. With a determined turn to her head, she met his gaze. His dark eyes were devoid of their usual warmth, and were instead a commanding brown. Not a good sign. He’d come to give her orders, and she was to obey—for the peace of Donetsk Territory. To save tens of thousands of lives. Only Joshua’s steady gaze kept her knees firm, and prevented her from bolting from the room in sickened horror. Onred made her flesh creep. When she had met him this afternoon, he had been polite, and had bowed over her hand with great chivalry. But she didn’t trust the bloodthirsty baron. Anya wondered briefly if this was a horrible nightmare. It couldn’t be happening. And yet she had known it would happen. Her fate had been set. And if she wanted to forge a peace that would save the lives of thousands of her citizens, she would agree to marry Onred. Joshua’s gaze continued to hold hers. The force and strength of his personality shored up her horrified, collapsing dreams. It felt like her very soul was shattering. As if she had been ordered to marry the devil. Silently, she stared at him. Did she have a choice? Under the Old Barons’ Law, the answer would be no. Joshua’s order alone, as Baron of Donetsk Territory, would be enough to seal her fate. But Joshua had come to seek her compliance…or maybe this was only a token gesture. Suddenly, she wasn’t sure of anything anymore. Had he already accepted the bride payment? Although the bride price was largely a symbolic gesture, if Joshua had accepted the payment, it would mean that both the marriage and peace contracts were already signed. It would mean that she already belonged to Onred in all ways except for one. The marriage ceremony would put the last, pretty flourish on the contracts, finishing the vow before God, and sealing the peace agreement for the rest of her life. And it would grant Onred his final right—conjugal visits. Panic beat in her breast. Surely Joshua hadn’t accepted the bride price. Not without talking to her first. Her swift feeling of relief didn’t last long. A decision still needed to be made. She wondered what would happen if she refused to accept her duty. Of course, Anya wanted to protect her people from Onred’s bloody hordes, and to save thousands of lives. And she wanted to make Joshua proud. But more than any of that, she wanted her life to have meaning and purpose. She was a Dubrovnyk. Her family had ruled Donetsk Territory for almost two hundred years. She must give her life to serve the territory. If marrying Onred was her fate, then so be it. Unfortunately, although her mouth opened and closed, she could not choke out the words to accept her fate. So, it was an order after all. She was to be given no choice. Mutely, she stared at him, in silence accepting her duty, although her very soul revolted against it. When he strode from the room, leaving her behind, Anya’s heart felt like it crumbled to nothing. 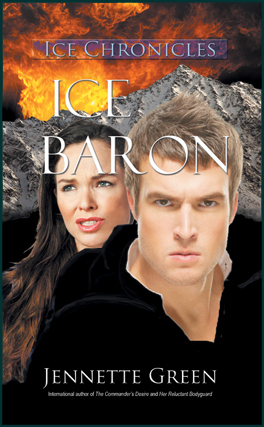 Read Chapter One of Ice Baron. . .